Justice Deficit or Justice Deficient? Most of the short texts on the blurb praise the book as diverse. This is not an exaggeration, to say the least, and it is also no surprise. If the very concept of what law is all about (Iustitia est constans et perpetua voluntas ius suum cuique tribuendi) is discussed together with the totality of EU law, a quick systematic approach is out of reach. For this reason, the book is at the same time enormously thought-provoking and representing a sort of work in progress which might never be fully accomplished. There is, however (and unfortunately) also a certain range in the quality of the contributions. To get an overall idea of their content, it might be helpful to arrange them in three groups (which might not necessarily coincide with those shaped by the editors). First, the search for justice in Europa is an endeavour in philosophy, or, how Neil Walker, whose article I would choose as a starting point for this aspect, puts it (p. 447), an effort to discover a “reliable compass of political morality”. The starting point is the theory of justification developed by Rainer Forst which links the concept of justice to the idea of justification (see Walker, p. 255), and consequently, to legitimation. 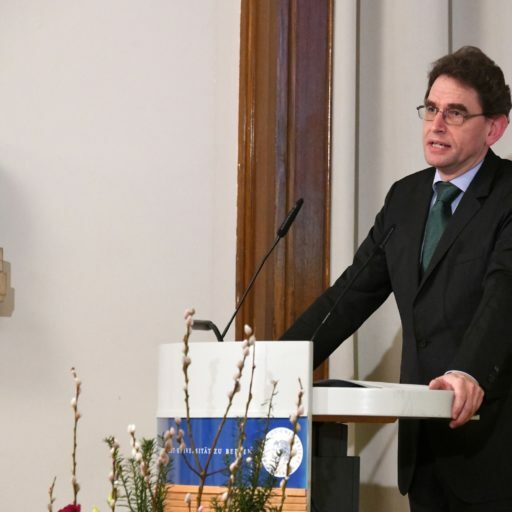 Jürgen Neyer developed this approach further for the purpose of giving justification to the EU – which, in his view, democracy does not provide and maybe will never be able to do so. Discussing these ideas is amazing, not only for the ordinary EU legal scholar, and it is obvious that this discussion is bound to continue. What is it that gives the EU its very reason of existence? Has any market logic become dubious – a cantus firmus of the whole book – or is there even some transcendental content in justice that comes up to the surface (both Kochenov, p. 435 and 436)? Second, justice is also a concept in positive law. Can a whole polity be just or unjust? Apparently yes, as the German debate on the Unrechtsstaat (a State where the idea of justice was systematically absent) shows, a term that designates the former GDR. There is of course a strong link to the philosophical issue, and there are some basic decisions to be made at the core of this debate. Can we really say that there is no issue of justice in the EU because the EU is not a State (a view reported by Williams, p. 35)? How can EU reform be just (And what does justice really mean – are we talking about the same when we use the English term justice, the French equivalent or Gerechtigkeit, justicia, gustizia? Obviously, justice is something different from the rule of law (again, the German experience underlines this). In a plurijurisdictional polity such as the EU, it is a most attractive project to sort this out. A first critical remark may be made here. Article 3 TEU expressly provides that the Union “shall promote social justice“. I have always wondered what this really means, and it is pity that the book is rather silent on specific treaty provisions (Article 3 is just mentioned by Douglas-Scott at p. 55). These two extremely interesting aspects are somehow in the shadow of the political bias apparent in many of the contributions. To be completely clear: Everybody is free to express his political opinion (what a platitude in a constitutional law blog…). But in an academic work, some rules of diligence and methodology have to be respected. It goes without saying that, whatever political view is taken, the content of legal norms and of cases must be reported correctly – and, sorry, there is no Member States’ budget control by the ECJ in the sixpack (p. 54; this is really a mistake – of course I will not mention the author), Article 106 TFEU does not compel privatisation, but is striking a balance between State- and privately owned forms of economic governance (p. 167, less a mistake but a question of assessment – the author here is Nicol), and why should two judgments – Viking and Laval – signify that the Court took a certain view “notably and notoriously” (Douglas-Scott, p. 56). And: Which human rights binding at what level are to be applied when searching for a redistribution of wealth (Williams, p. 49). Further, cross-disciplinary references must bear some weight; I submit it is not enough just to mention some statistics in a footnote when stating that the policy fighting the financial crisis did only create profit for the banks and only losses for the poor (Williams, p. 40), or just assessing that Europe managed less well than other economies to handle the crisis (Augenstein, p. 163 – did the authors compare with, let’s say, Japan, or Latin America?). Economy as a science has something to offer that is more than statements of “some German conservatives” (Nicol, p. 168). Perhaps the framework of original common market was not “highly contestable in justice terms”, as Nicol writes – but just economically reasonable (p. 168)? The book has its weakest parts when it engages in blunt “austerity bashing”, the “Swabian housewive” being the virtual target of many contributors (although the real person comes from another region of Germany). If anyone could clearly detect which parts of the, say, Greek MoUs were imposed by the Troika and not included by wish of the respective Greek government, I would easily accept the contrary – but there is no such proof, at least not in this book. Following this assumption – is all the deplorable social situation in Greece, but also in Portugal and to some extent in Spain really consequential upon “austerity”, or not just upon the fact that in 2010, there was no more money in the purse? What would have happened without supranational co-operation? “Thankfully this role of academic as defender of the EU faith has been discarded in some respects, and in the wake oft he Eurozone crisis it deserves to be wholly swept aside.“, Nicol writes at p. 165. No, I am afraid, there is at least one left deep in the East-German forests of Thuringia. SUGGESTED CITATION Ruffert, Matthias: The EU is no supranational ,Unrechtsstaat'!, VerfBlog, 2015/6/12, https://verfassungsblog.de/the-eu-is-no-supranational-unrechtsstaat-2/.